Dr Martin Dobson acted as an external consultant to a local authority for seven years dealing with all tree preservation order and conservation area applications together with surveying of trees and the making of tree preservation orders. He therefore has first hand experience of the planning process and can assist in the submission of applications to carry out work to protected trees or appeal against decisions where permission has been refused. 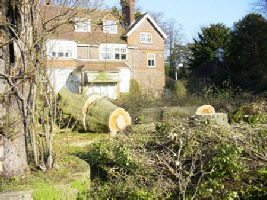 Tree preservation orders are made to prevent the unnecessary loss of public amenity afforded by trees. However, sometimes work to trees becomes necessary due to issues of safety, shading etc. In these circumstances applications can be made to the local authority for appropriate tree work.